On Monday, Chinese and Japanese defense authorities sat down to discuss how to manage tensions stemming from a territorial dispute in the East China Sea. Both sides are trying to finalize details of a hotline that will allow leaders from both sides to communicate in the event of an emergency, as well as other strategies for avoiding accidents at sea or in the air. 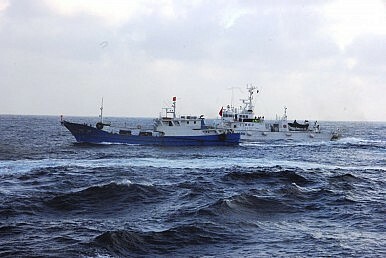 Setting up a maritime consultative mechanism is seen as a crucial step in managing tensions arising from the Senkaku/Diaoyu territorial dispute. A general agreement to hammer out a maritime consultative mechanism was reached in 2012 – just before China-Japan relations took a nosedive over the Japanese nationalization of the disputed Senkaku-Diaoyu Islands. The first round of talks, held in May 2012, was also the last for over two years. With talks suspended, many worried that heightened tensions and increased patrols in the disputed region could lead to a disastrous accident – exactly the sort of scenario a consultative mechanism is designed to prevent. The second round of talks took place in Qingdao, Shandong province, on September 23 and 24 of last year. That meeting, led by Yi Xianliang, the deputy director-general of the Chinese Foreign Ministry’s Department of Boundary and Ocean Affairs and Makita Shimokawa, deputy director-general of the Japanese Foreign Ministry’s Asian and Oceanian Affairs Bureau, provided an early sign that a thaw in China-Japan relations was on the horizon. During that meeting, China and Japan agreed in principle to resume liaisons between their maritime departments, with the goal of putting in place a maritime communication mechanism as early as possible. The goal, according to the Japan Times, is to officially launch a maritime crisis management mechanism by the end of 2015. Monday’s talks, which brought together officials from China’s Defense Ministry and Japan’s Defense Ministry and Maritime Self-Defense Force, talked about technical details, including what common radio frequency vessels and aircraft from both sides should use in the area surrounding the disputed islands. A commentary from Xinhua praised this week’s talks as “an encouraging sign [that] offers another opportunity for tension reduction.” However, the commentary also emphasized that the talks, originally started in 2012, had been “disrupted thanks to Japan’s irresponsible moves.” “Good faith from Japan is essential to the success of this week’s meeting,” the article said. In reaching a four-point consensus on their bilateral relationship last November, China and Japan purposefully used ambiguous diplo-speak to avoid the central issue of the Senkaku/Diaoyu dispute. The two sides agreed that they hold “different positions… regarding the tensions” that exist over the islands – not that they hold different position on the actual question of sovereignty over the islands. The difference in key, as Tokyo has steadfastly refused to recognize the existence of a dispute despite China’s demands. Chinese media tended to interpret Japan’s “concession” in the four-point consensus more broadly than it was intended – Japanese officials have made it crystal clear that Tokyo did not intended to recognize a territorial dispute exists. Thus, Xinhua’s exhortation that Japan must “stick to the four-point principle agreement reached with Beijing last November” could prove problematic if the ambiguity of that agreement is not allowed to remain. The Xinhua article makes it clear that China-Japan tensions are far from over. Beijing is still greatly concerned about Japanese Prime Minister Shinzo Abe’s move to strengthen Japan’s defense forces, and continues to see such moves as “dangerous” and “provocative.” Meanwhile, China’s recent launch of a new website outlining its claims to the Diaoyu Islands proves that Beijing has no intention of letting the territorial dispute simmer on a back burner. Under the circumstances, it’s more crucial than ever for China and Japan to take advantage of what might prove to be a temporary lull in tensions to finalize a maritime consultative mechanism. Such an agreement will help stabilize the East China Sea during the next storm in China-Japan relations.